The Japanese, known for keeping their traditions close while embracing modernity, have also become synonymous with discipline, respect and resilience. Singaporean professional photographer Bryan Foong beautifully captured the essence of the Japanese spirit while on a business trip to Hokkaido, which survived two natural disasters in the span of one week. Typhoon Jebi, the most powerful storm to ravage Japan in 25 years, made landfall on September 4 in western Japan. 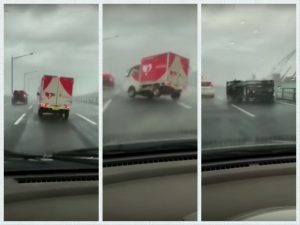 With wind speeds of up to 252 kilometers per hour, the typhoon killed at least 10 and stranded 3,000 people in the flooded Kansai Airport. 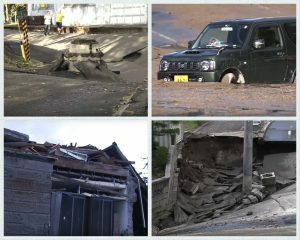 Two days later, as if nature had not done enough, an earthquake with a magnitude of 6.7 hit Hokkaido Island just after 2 in the morning, with aftershocks measuring 4.6-5.3 occurring a few hours after. According to Foong, Hokkaido Island had a post-apocalyptic feel to it, not unlike the popular US show “The Walking Dead”. It was eerily quiet, there was no water, all shops closed down, and there was no electricity for the next 30 hours after the earthquake. Flights were cancelled as New Chitose Airport was shut down for nearly two days. 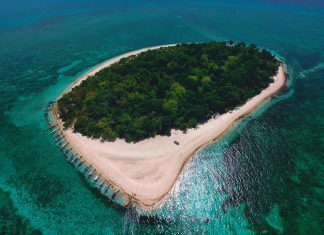 If not for the amazing efforts and quick response of the Japanese emergency services, police and fire department, the whole island would have come to a complete halt. It was at that point that Foong saw Japanese solidarity and resilience in action. 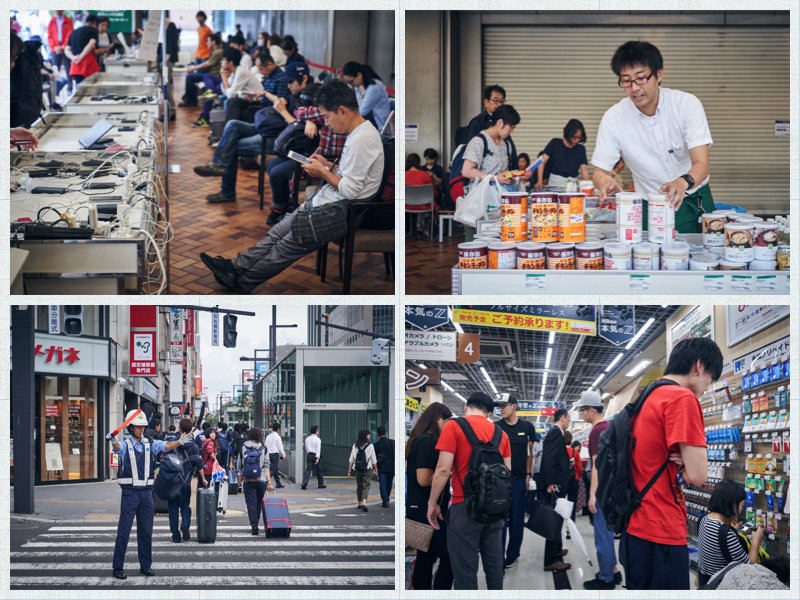 Yakitori eatery served much-needed hot food to people, and though lines were long and people were hungry, the Japanese formed a patient queue, showing courtesy even in the face of disaster. Grateful for the food, everyone pitched in to help with the cleaning afterwards. People banded together and sought refuge in the lobby of a hotel, bunkering down for what was an extremely long and anxious night. 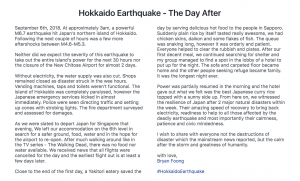 Foong reported that the next morning, power was back on in some parts, and it did not take long before things started to get better. Foong was grateful for the opportunity to capture what he referred to as “the essence of the Japanese” through his photography. He remarked that he would love to be able to document the “amazing side of humanity” again but was firm in saying that he did not wish for any tragedy or disaster to occur just so he could do so. You can view all of Foong’s photos here.